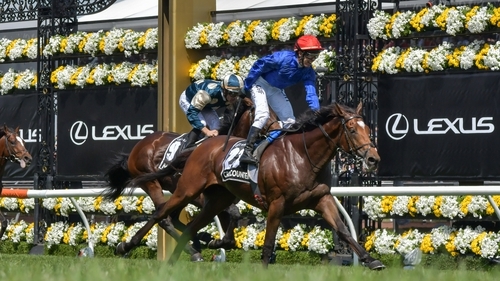 There was no joy for Aidan O'Brien as Cross Counter secured his place in the record books to become the first British-trained winner of the Lexus Melbourne Cup at Flemington. O'Brien saddled three horses at 'the race that stops a nation' - favourite Yucatan finished eleventh, Rostropovich came in fifth while Cliffs of Moher suffered a fatal injury to compound a miserable afternoon for the Ballydoyle trainer. Joseph O'Brien. representing his father, said : "Unfortunately these things can happen to a horse galloping around a field at home.